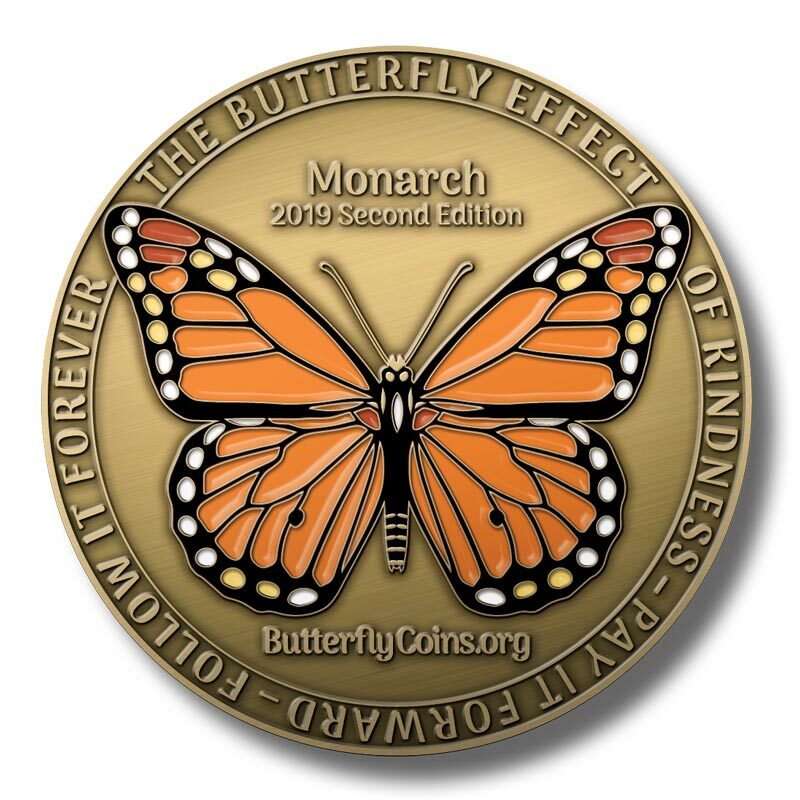 This Butterfly Coin is (# 11) and will travel on a journey to Maine to meet with Gail and Norman Weston. Gail is my older sister and was the first recipient of "A Gift From the Heart" series that l started a few years ago. A gift from the heart is when I would send something special to a deserving person without them knowing where it came from. These coins are similar and help keep acts of kindness moving forward.